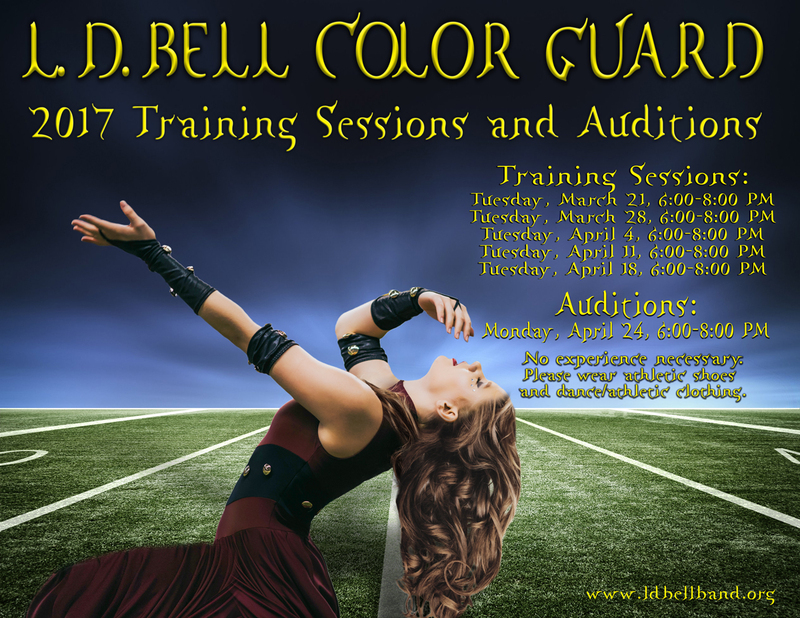 Training sessions for 2017-18 Color Guard Auditions will begin on Tuesday, March 21 from 6-8 pm and will run every Tuesday through April 18 in the C Gym at L.D. Bell. 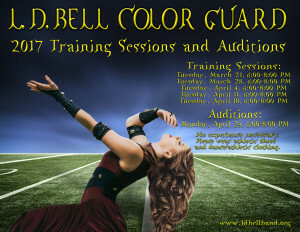 Tryouts will take place on Monday, April 24. No experience is necessary to try out. File your taxes- Support your Blue Raider Band! Registration is $99 per person or $396 per foursome and includes green fees, shared cart, gift bag, range balls and lunch from Abuelo’s. Plus, you’ll enjoy lots of fun extras like a longest drive, closest to the pin, putting contest, and other extras. All proceeds benefit the students of the L.D. Bell Blue Raider Band. Join us on Tuesday, February 7 in the L.D. Bell Auditorium for the annual Jazz Showcase, featuring the L.D. Bell Jazz Ensemble under the direction of Mr. Harmon. It’s going to be a great show! Admission is $5. We have Blue Raider Band logo Kong Tumblers available for sale! Please see the pdf form below for the order form. Get started. A little bit of doing every day! Attention Senior Band Parents – Take this opportunity to highlight your senior in the 2016 L. D. Bell Football Program, a beautiful, full-color glossy magazine. This program is a great way to show-off your senior’s accomplishments and photos. It will be made available to the whole community all marching season and can be purchased as a keepsake to remember your child’s senior year. 1. Bring cash or check payable to L.D. Bell Band to the band hall tomorrow evening from 6-7 pm. 2. Credit card payment via PayPal on the website (www.ldbellband.org/payments) Credit Card payments must add a 3% service charge.